Full Fathom Five is Elephant Stone played backwards and has no (decipherable) lyrics. Full Fathom Five, Elephant Stone reversed, was the first of five backwards tracks by The Stone Roses and easily the weakest of the backwards catalogue. Two edits are available: the version on The Complete Stone Roses compilation and the rawer version on the Elephant Stone single. 'Full Fathom Five' was the title of a Sylvia Plath poem from 1958, but the direct inspiration for the choice of title here is most likely the 1947 painting of this name by Jackson Pollock (1912 - 1956). 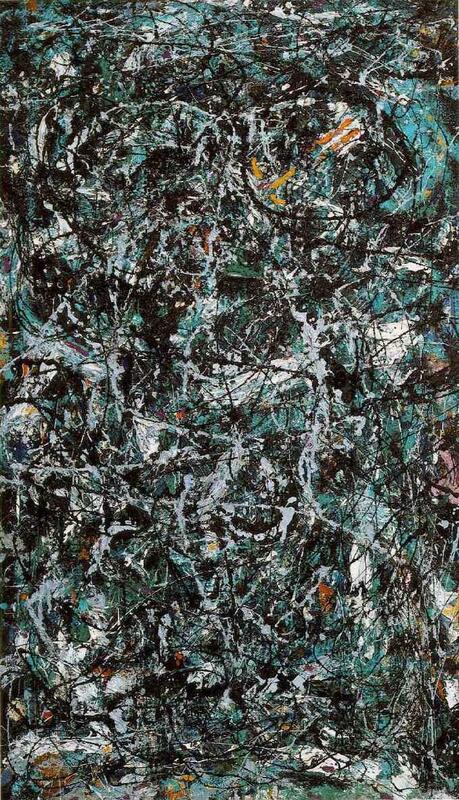 'Full Fathom Five' (1947) by Jackson Pollock. Five previously unreleased backwards tracks can be found on the 2009 legacy edition reissue: Untitled1; Untitled2; Untitled3; Untitled4; Untitled5.